New coin, same old cons. “Films, football, beer, and above all, gambling filled up the horizon of their minds. To keep them in control was not difficult….” – George Orwell, 1984. The government’s own Office for Budget Responsibility (OBR) laid bare an important truth – that any semblance of economic recovery is despite the Coalition and not because of them. The OBR have also stated that any slight economic recovery is in no way because of Osborne and Tory policy, but simply due to the wider global recovery from the global crash. The government has drastically cut its spending on everything – including the NHS, in spite of their claims to the contrary, this means that the government has consistently damaged the prospect of any economic recovery. It’s therefore outrageous to hear Osborne trying to claim credit for the appearance of something that the Tories have done their very best to impede. The Tories create high unemployment deliberately. Every time they are in Office. The subsequent increased reserve army of labour are then forced to ‘compete’ to take lower paid work, under less favourable working conditions, because they are desperate – and especially more so now that our welfare system is so unfit for purpose. The Tories made sure of that, too. “Making work pay” is a big Tory lie that has benefited no-one but the very wealthy, and the reduction in both the value and the amount of welfare support for unemployed individuals has come at a time when we are witnessing steady reductions in worker’s rights, and worryingly, the Tory-led Government has stepped up its attack on employment health and safety regulations. This suits Tory donor profit- seeking businesses just fine, but unforgivingly and unforgivably, it costs lives, and costs us a decent, civilised standard of living. This is what Tories always do. It’s an intrinsic tenet of Tory ideology. They always start a brutal race to the bottom. 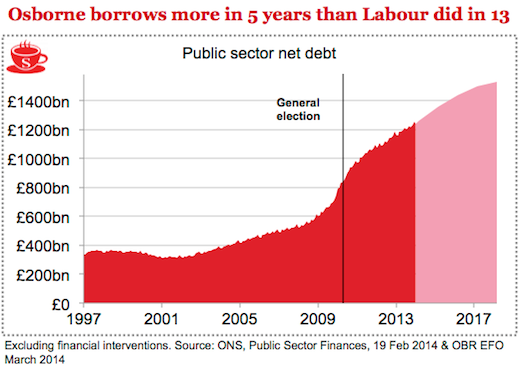 They are NOT paying down the debt, they are raising more money for the rich. Tory austerity is a false economy. The working people of Britain are worse off under the Tories. Living standards down: month after month, year after year. 2011 – living standards down. 2012 – living standards down. 2013 – living standards down. And since the election working people’s living standards £1,600 a year – down. You’re worse off under the Tories. But they have delivered exactly the opposite. Standards of living not rising steadily and sustainably, but falling sharply and steeply. And today the Chancellor simply reminded people of the gap between the Chancellor’s rhetoric and the reality of peoples’ lives. Living standards falling for 44 out of 45 months under this Prime Minister. Unmatched since records began. No amount of smoke and mirrors today can hide it. The answer is no. Worse off. Much worse off. Worse off under the Tories. And the Chancellor trumpeted the tax allowance today. But what he didn’t tell you is that it is the same old Tory trick. He didn’t tell you the rest of the story. He didn’t mention the 24 tax rises introduced since he became chancellor. He forgot to mention that he put up VAT. He taxed away Child Benefit. And gave us the ‘Granny Tax’. 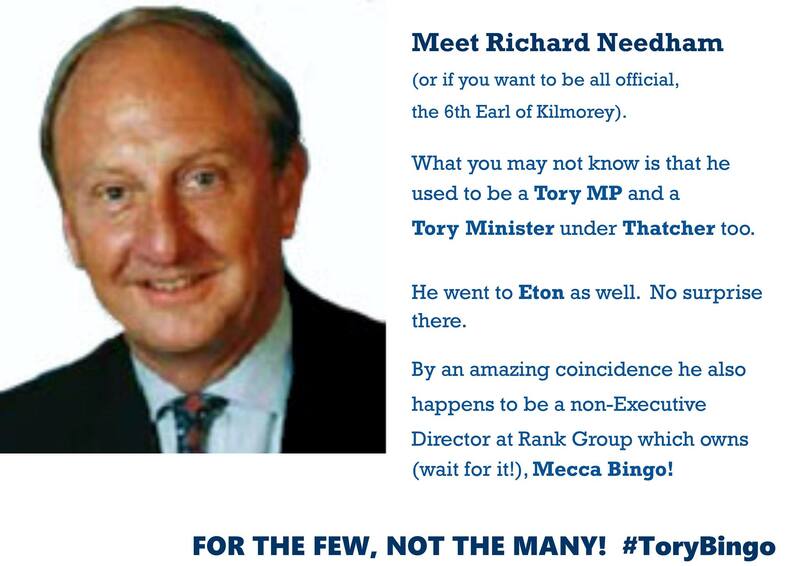 It’s a classic Tory con. Give with one hand and take far more away with another. 350,000 people going to food banks. 400,000 disabled people paying the Bedroom Tax. 1 million more people paying 40p tax. 4.6 million families facing cuts to tax credits. But there is one group who are better off. Much better off. We all know who they are. The Chancellor’s chums. The Prime Minister’s friends. The Prime Minister rolls his eyes, he doesn’t want to talk about the millionaire’s tax cut. 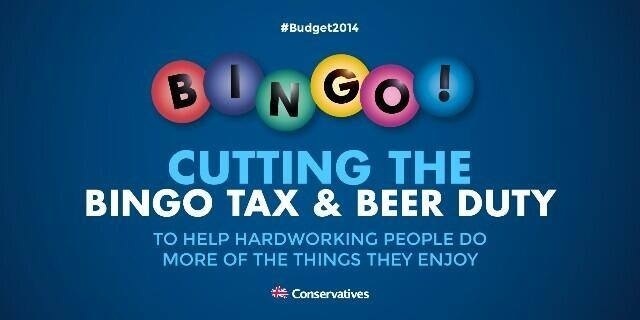 No mention of it in the Budget speech. The beneficiaries of this year’s millionaire’s tax cut. Because if you are a City banker earning £5m and you are feeling the squeeze, don’t worry because they feel your pain. Because this year that city banker was given a tax cut. Not just any tax cut. A tax cut worth more than £200,000 a year. So the Prime Minister chooses to afford a tax cut of £200,000 for a banker. But he can’t afford a pay rise of £250 for a nurse. And these are the people that had the nerve to tell us we’re all in this together. It’s the same old Tories. And of course, the Leader of the Liberal Democrats, with them every step of the way. Day after day he claims he doesn’t support Tory policy. But day after day he votes for Tory policy. Now to listen to the Chancellor today, for a recovery that arrived three years later than he promised, he expects the country to be grateful. Back in 2010, he told us that by the end of 2014, the economy would have grown by nearly 12 per cent. Today the figures say it has been barely half that. And he wants the country to be grateful. Back in 2010 he said the Government would clear the deficit in this parliament by 2014/15. Today he wants the country to be grateful because he says he can do it by 2018/19. But what has actually happened since then to the rebalancing that he promised? Manufacturing output has fallen by 1.3 per cent. Construction output has fallen by 4.2 per cent. Infrastructure investment down 11 per cent. Every time he comes to this house he promises a rebalancing. And every time he fails. He talked about housing today, but what has he actually delivered? They’ve overseen the lowest house building since the 1920s. And rents have risen twice as fast as wages. At the heart of the argument we will have over the next fourteen months is this question: whose recovery is it? 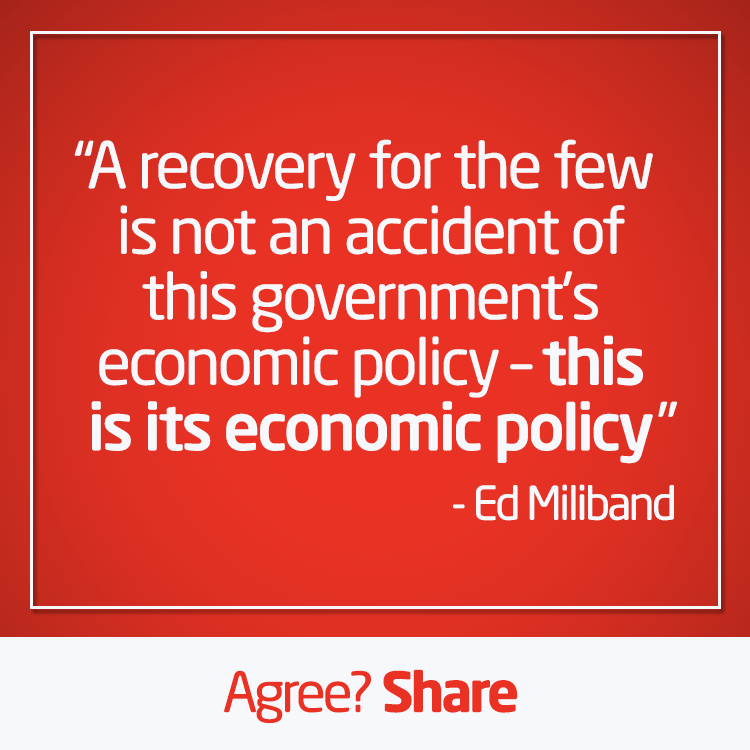 Under them it’s a recovery for the few not the many. Bankers pay in London rising five times faster than the pay of the average worker. This recovery’s not working for working people whose living standards are falling. It’s not working for millions of women who see the gap between men and women’s pay rising. It’s not working for low-paid people promised by the Chancellor a £7 minimum wage, but given just 19p more an hour. Under this Government it’s an economy of the privileged, by the privileged, for the privileged. And instead of today admitting the truth about what is happening in most people’s lives, they want to tell them the opposite. They tell people their wages are rising when they’re falling. Just like they tell people their energy bills are falling when they’re rising. And they tell people they’re better off but everyone knows the truth. You can change the shape of the pound. But it doesn’t matter if the pound is square, round or oval. 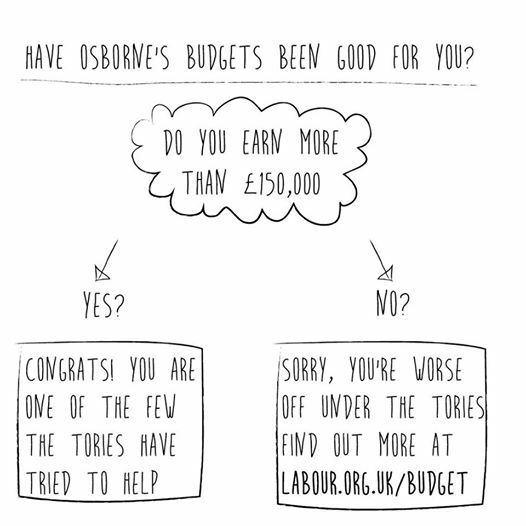 If you’re £1,600 pounds worse off, you’re still £1,600 pounds worse off. You’re worse off under the Tories. And the reason they can’t deliver is because of what they believe. His global race is a race to the bottom.People forced to do 2 or even 3 jobs to make ends meet. Not knowing how many hours they will get from one week to the next. And no idea what the future holds for their kids. That’s how they think Britain succeeds. That is why they’re not the solution to the cost of living crisis. We needed a Budget today that would make the long-term changes our economy needs in housing, banking and energy. But they can’t do it. They won’t stand up to the vested interests. They won’t tackle developers sitting on land, even though they can’t solve the housing crisis without it.They won’t force the banks to improve competition, even though small businesses say they need it. They won’t stand up to the energy companies and freeze energy bills, even though the public support it. We know what their long term plan is: more tax cuts for the richest, while everyone else gets squeezed. What does the Chancellor say about the people dragged into paying 40p tax? He says they should be happy. It’s good news for them. If you’re in the middle paying 40p you should be pleased to pay more. But if you’re at the top paying 50p, you should be helped to pay less. It’s no wonder that even their own side think they’re totally out-of-touch. And even now, even after all the embarrassment of the millionaire’s tax cut, they won’t rule out going further. Maybe today we can get the straight answer we haven’t had so far? Will he rule out a further tax cut for millionaires to 40p? Just nod your head if you’re ruling it out! They won’t rule it out. Doesn’t it say everything about them? They really do believe the way you make the rich work hard is to make them richer, and the way you make everyone else work harder is by making them poorer. And just like they paint a picture of the country that working people will not recognise, so too themselves. Now the Prime Minister is an expert in re-branding. Remember the huskies, the bike, the tree? That was before they said cut the green crap. What is the latest re-brand from the Bullingdon club? Because what does this lot now call themselves? They call themselves ‘The workers’ party’. And who is writing the manifesto for this new workers’ party? By my count more Etonians writing the manifesto than there are women in the Cabinet. You know you’re in trouble when even the Education Secretary calls you a bunch of out of touch elitists. And where is the Education Secretary? I think he has been banished … He’s hiding! I think he has been consigned to the naughty step by the Prime Minister. I think it’s time we listened to Baroness Warsi and took the whole Eton mess out of Downing Street. And what a mess it is. There are more sides in the Tory briefing war than there are on the new pound coin. We don’t need a party for the privileged few. We need a party for the many. Guarantee jobs for unemployed young people. Get 200,000 homes built a year. And abolish the Bedroom Tax. This is the Budget that confirms people are worse off under the Tories. A worse off budget, from an out-of-touch Chancellor. Britain can do better than them. Britain needs a Labour government. 2. Labour pledged to create a State-Owned Rail Company that would compete and win back Rail Franchises. 3. Labour vow to cut business rates for small firms. 4. Labour vowed to introduce an increased Bankers’ Bonus Tax if they win in 2015. 5. Labour promised Free Childcare worth £5,000 a year for working parents who had kids aged 3+4. 6. Labour committed to Sacking ATOS, Serco and G4S if they win the election. 7. Ed Miliband promised to repeal the Bedroom Tax. 8. Ed Balls pledged to reverse the Pension Tax relief that the Tories gifted to millionaires. 9. Labour promised to reverse the Tory Tax cut for Hedge Funds. 10. Labour said they would create 200,000 Apprenticeships and tie it to immigration. 11. Ed Miliband vowed to increase the fine levied on firms not paying the Minimum Wage by 1000% to £50,000. 12. Labour are to introduce a new Disability Hate Crime Prevention Law. 13. Labour would freeze gas and electricity bills for every home and business in the UK for at least 20 months,the big energy firms would be split up and governed by a new tougher regulator to end overcharging. 14. Voting age to be lowered to 16. 15 NHS to be re-nationalised. 16. Miliband also said that any private company that does not meet the needs of the public will be brought under state control. 17. Labour will scrap zero hour contracts. 18. Labour have pledged a living wage. 19. Labour have pledged to reverse the £107,000 tax break that the Tories have given to the millionaires. 20. Labour will reintroduce the 50p tax. 21. Labour will repeal clause 119.